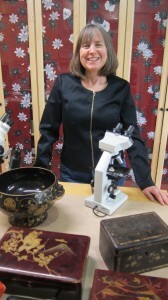 Marianne Webb specializes in the conservation and restoration of Asian and western lacquer, polychrome sculpture, and other painted objects, as well as objects made from wood, plaster, bone, ivory and stone. Other services include object examinations, storage recommendations and research. With over thirty years of experience Marianne Webb is equipped to handle even the most complex conservation challenges.